The Peruvian site of Chavín marks the emergence of religion as the focus of public art. 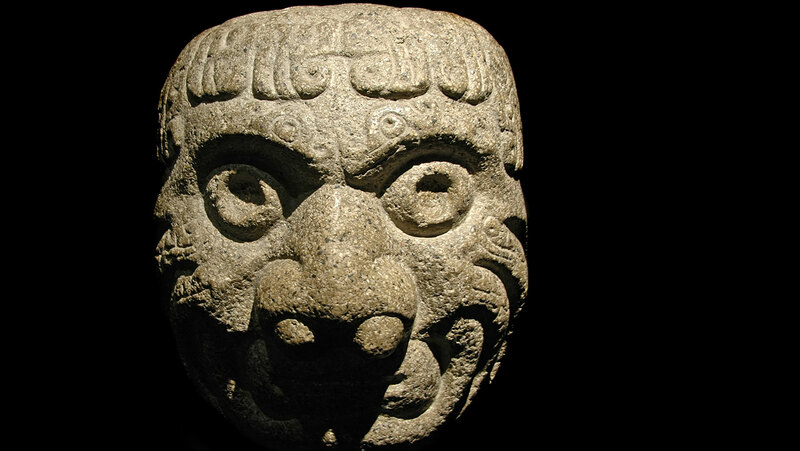 Study Chavín’s distinctive architecture, with images of its characteristic “fanged deity.” Learn about later religious iconography and artifacts at Chavín suggesting that it was the center of a cult that spread to other sites in the region. The Professor's idea that vast portions of South America all worshiped one god, a fanged deity, comes into full relief here. I don't know if he is right or wrong but it is an interesting idea. The concept that this god was linked to the Amazon adds another layer of interest. Anyway this site seems to have been a center for worship. In my Euro-Christian centered mind, I tend to liken it in some ways to Rome in the middle ages.